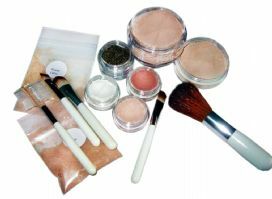 This auction is for 1 x resealable plastic bag containing a 12g Pure Magic foundation refill. Simply fill up your old jar at home. Our buyers think our Pure Magic range is as good if not even better than expensive leading brands. Here are some of the comments. There were 5different leading brands mentioned in these emails. (Names of brands have been replaced with stars). I received it on Saturday.It's brilliant!I tried on same day I couldn't wait. I suffer from breakouts just before my period, so hopefully it will help to dry them up. I rec'd the makeup today, its absolutely fab. I have been using mineral makeup for the past 7 years, **** ***** and *** *******, and I have to say that yours is every bit as good if not better. Thank you so much I am really thrilled with it, will definately place another order. Absolutely no problem at all, please do. FYI, my friend recommended *** ********** to me, so I just bought a sample of that as it is so expensive, but its no different to yours. I am so glad I didn't order a full size foundation from them because I would have been gutted. Mineral Foundation is made from purified crushed natural earth minerals. Our foundations contain Micas, Titanium Dioxide, Zinc and Iron Oxides, Ultramarine Oxides, Kaolin and organic kosher rice powder. Kaolin is a pure clay mineral that offers the benefit of shine control, coverage and adhesion to mineral foundation. Rice powder is a fantastic natural ingredient that women have used as a beauty aid for thousands of years. It absorbs oil slowly, improves texture and helps to give that much desired sheer finish to mineral foundation. Our minerals do not contain Bismuth or fillers such as talc which are ingredients in many expensive leading brands. These substances can act as irritants to people of all skin types but those with acne prone and sensitive skins are even more at risk. This auction is ideal for those who have bought from us before and know their shade (our shades differ from other brands). The powder will fill a 30g size sifter jar with some over. Photo on the left is for illustration purposes only and shows some of the shades available. Other shades can be seen on the Choosing Your Shade section. Pure Magic foundation is great for those wanting to cover redness, scars and skin conditions such as acne or rosacea. It is also excellent for those just wanting a sheer natural looking foundation that covers imperfections and stays put all day long. Try our excellent foundation at an affordable price. Our buyers say our foundation is as good if not better than many expensive leading brands. Please read their comments below. 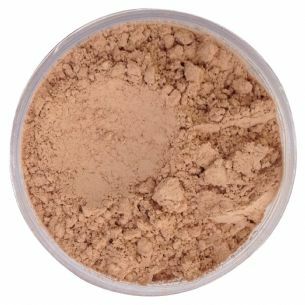 Our foundation gives excellent coverage, just apply as you do your regular mineral foundation, you will find you dont need to use as much to get the coverage you want. I just wanted to say THANK YOU for the wonderful foundation i recently purchased from you! I have just applied this amazing product and cannot explain just how amazed i am! I've never used a product that has given such wonderful results and i really am speechless! I have been using products such as ******** and ***** ***** for ages and being a sufferer of severe eczema i didnt do my skin any favours by using that tat! I cannot believe how much money i have wasted on their products! Your magic foundation truly is magic and it does not dry my skin at all, i often found that the other brands ALWAYS excessively dried my skin out but your powders are just fantastic! no drying out of the skin, no peeling, no itching..just flawless coverage! It completely covers all my blemishes and i have finally found the makeup of my dreams!! Please don't ever stop selling this product, you are an absolute life saver and i just wanted to personally say thank you! I honestly cannot thank you enough for offering such a fantastic product and can give you my word i'll be back for more, and i'll never touch another brand EVER again!! I wish you every success with the business, you most certainly deserve it!